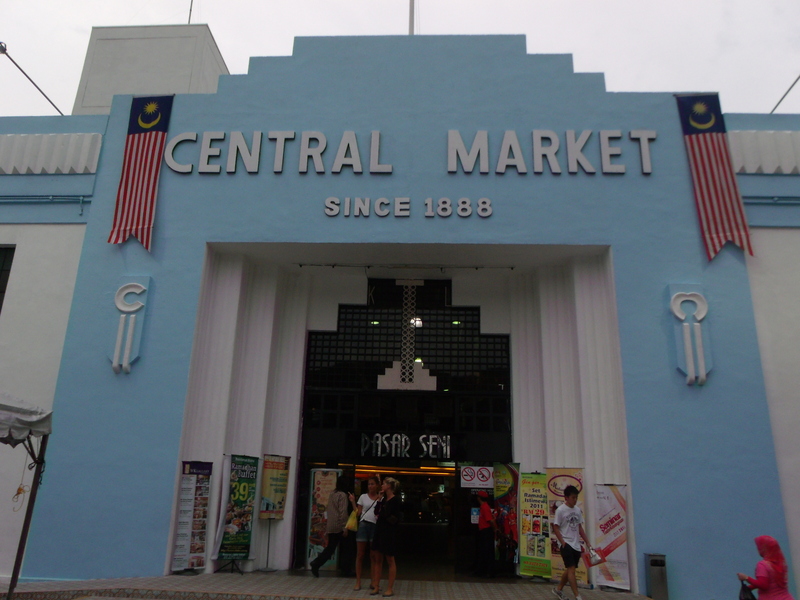 Central Market is the place to browse for interesting finds from kitschy tourist souvenirs to expensive pewter to unusual antiques. The former wet market’s second lease in life (it was rescued from demolition by conservationists) is beautiful Art Deco architecture with fun browsing opportunities. Persistence and the ability to bargain in Bahasa-Melayu has yielded a particularly precious keepsake— an old rebab hanging anonymously at a small shop tucked in a corner of the ground floor near the ATMs. The shop was crammed with antiques some of which made me swoon with delight only to be replaced with frustration at the high price. After the cheap finds in Indonesia, the high price in Malaysia was a bit of a shock. Nevertheless, I had to take home something I could preciously own and remind me of this particular trip so out came the card and with one swipe, RM 200 was gone from the my credit. 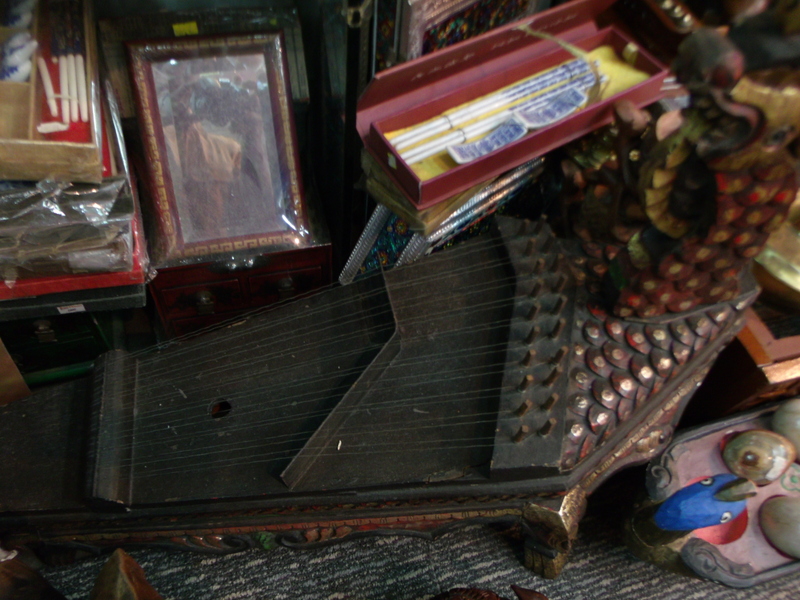 After I had bought a "kompang," the shopkeeper consented to let me take 1 picture of this instrument which costs more than RM1,000! On the second floor was another precious find, albeit something closer to the stomach than to the mind. We decided to treat ourselves in this most heart-breaking of all nights while traveling—the night when you finally pack your bags, weigh them, check your planet ticket, and bid a silent farewell to your hotel room (in my case, my guesthouse room). A treat meant dining in a real restaurant with proper food service. No more fluorescent lights and plastic chairs and tables and waiters that simply put your plate of food in front of you. We had been attracted to the Rainforest Cafe which advertised a Ramadan buffet. When we got there we were told it was offered only on Fridays. We checked the menu of international dishes but none seemed interesting. We were resigned to the food court until we stumbled on the wooden exteriors of Precious Restaurant as we came up the stairs. It truly was a precious place for a memorable meal. After all the delicious and authentic Peranakan cuisine we had been dining on at Melaka and Penang who would have thought that back at KL, we would be feasting on yet another spread from some Nonya’s generations-old recipe stash. These two Nonya went crazy with the last remaining "pie tee!" These are the "pie tee" before the two Nonya above devoured them. Entering the the restaurant we were transported to the resplendent world of the Straits Chinese. Time-worn wooden tables with chairs, no two of which are exactly the same, are arranged in a simply but beautifully furnished spacious area. 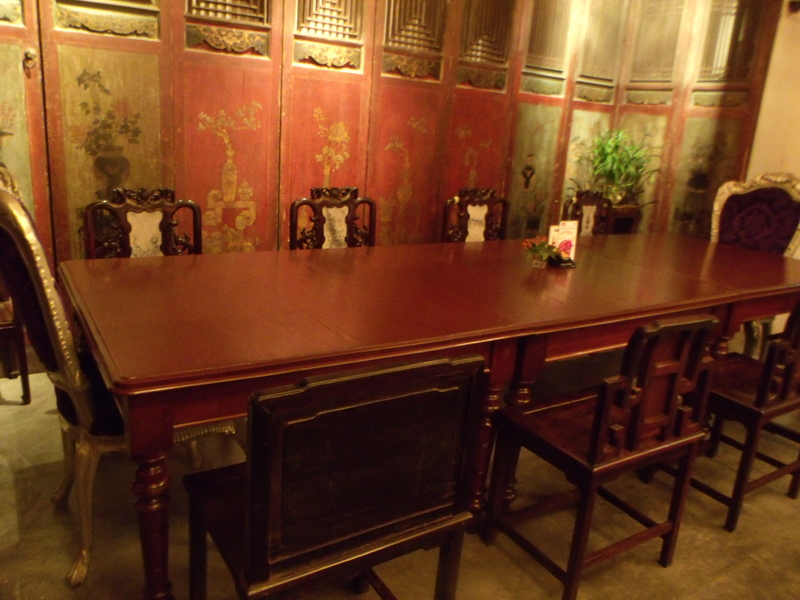 On one side is a small area with folding wooden wall for private dining. 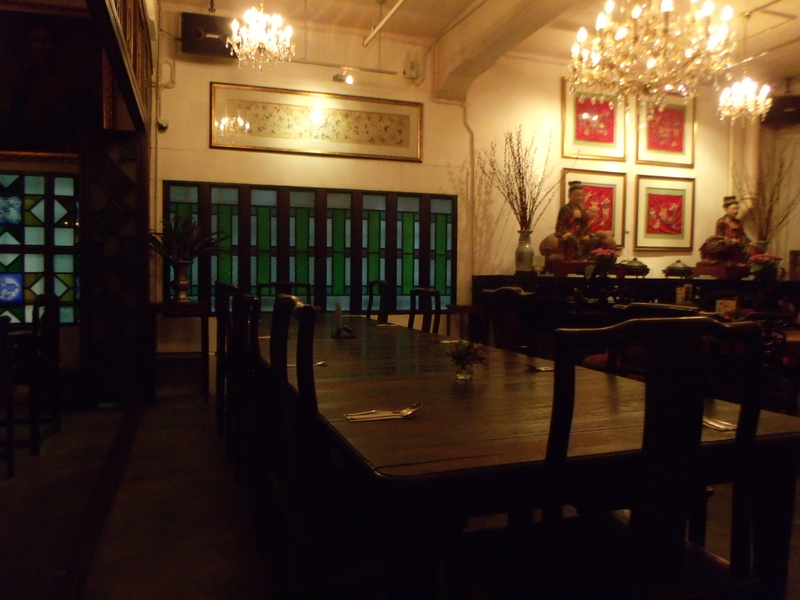 With its long table that could sit around a dozen Baba and Nonya and walls adorned with old doors painted with faded flower motifs, you could dine like a true Peranakan. "Otak otak" all wrapped-up in a banana leaf. 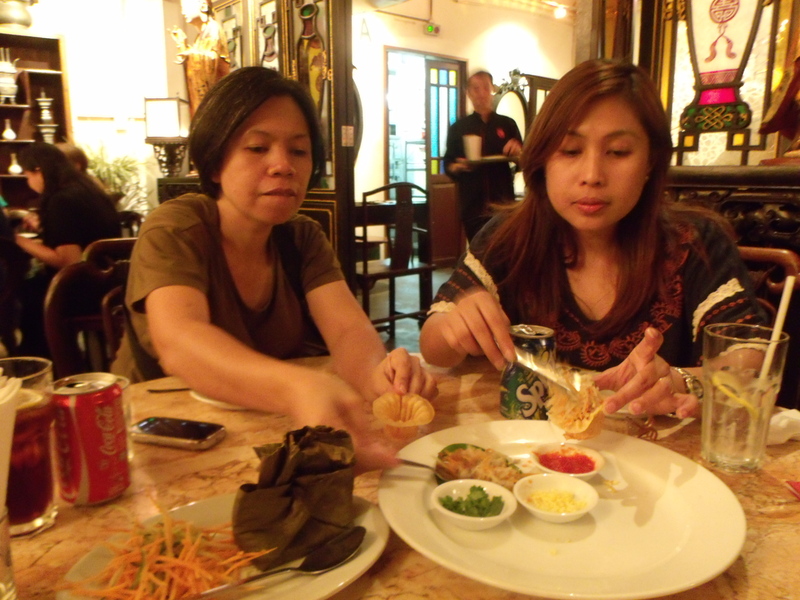 The food was utterly savory and delicious with the multi-hued flavors bursting from each dish. 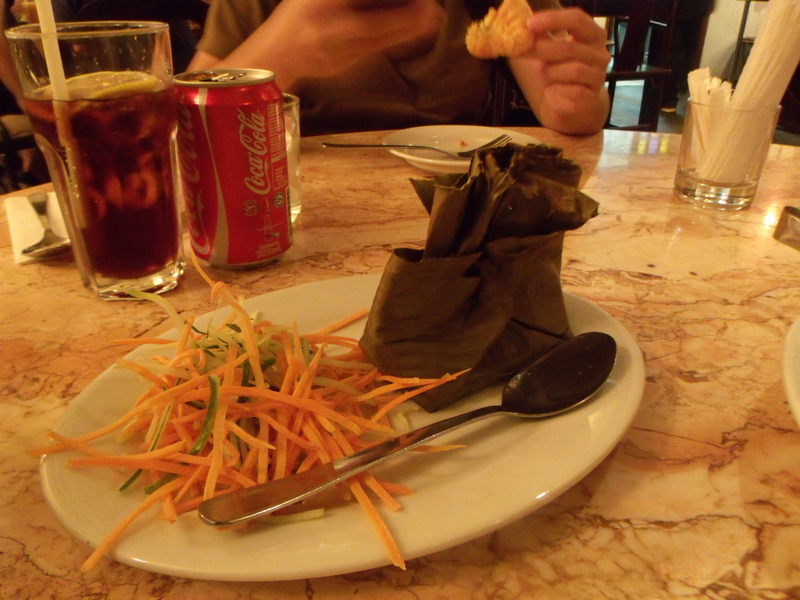 Most notable was the otak-otak which arrived from the kitchen in a small banana-leaf parcel steaming hot. The curry flavored the flaked fish deliciously. Unlike the one we had at the buffet at the Sri Nonya Cafe in Georgetown, this one tasted really like fish and had a finer texture. Come to think of it, anything offered in a buffet is bound to have some quality issues. Fun to assemble and eat was the pie tee— an appetizer of julliened carrots and turnips and minced chicken which you put in tinyhat-shaped shells and topped with a spicy sauce. It is my opinion that if Indonesia’s contribution to rice cuisine is nasi goreng then Malaysia’s is nasi lemak. This is one tasty rice that could be eaten cold and still be delicious. 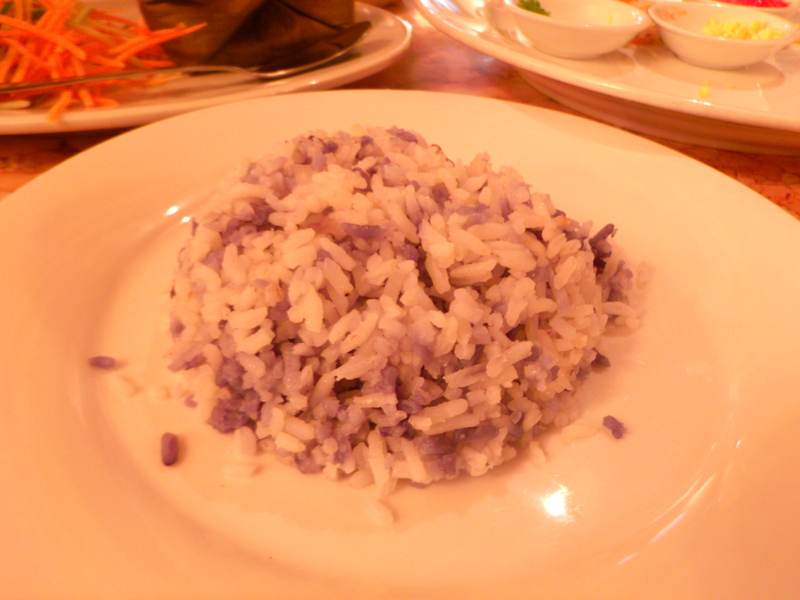 But the rice tinted blue with butterfly pea flowers was just as delicious and visually exciting. 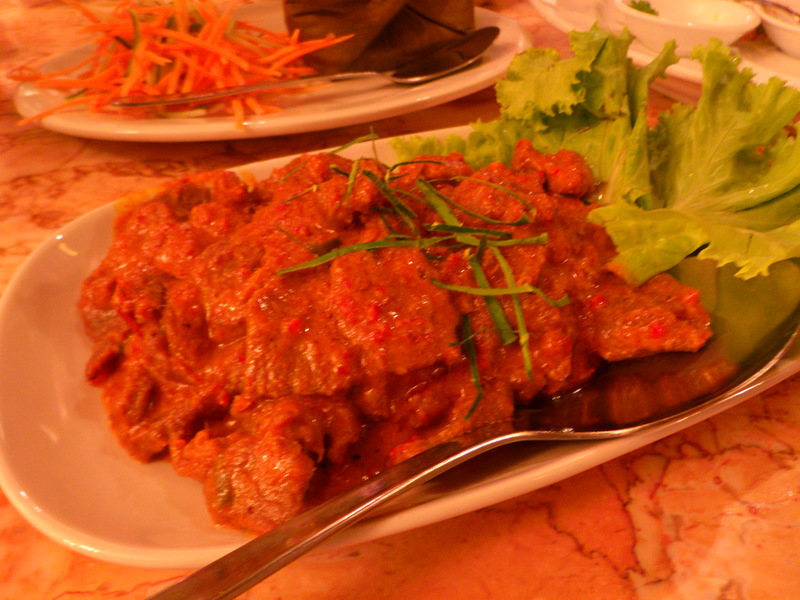 I liked the way vegetables are flavored and cooked in Peranakan cuisine. The Chinese are masters at stir-frying so the greens always come out of the fire crisp. Perhaps we should have been more adventurous with our vegetable choice as we had Nonya Chap Chai again. 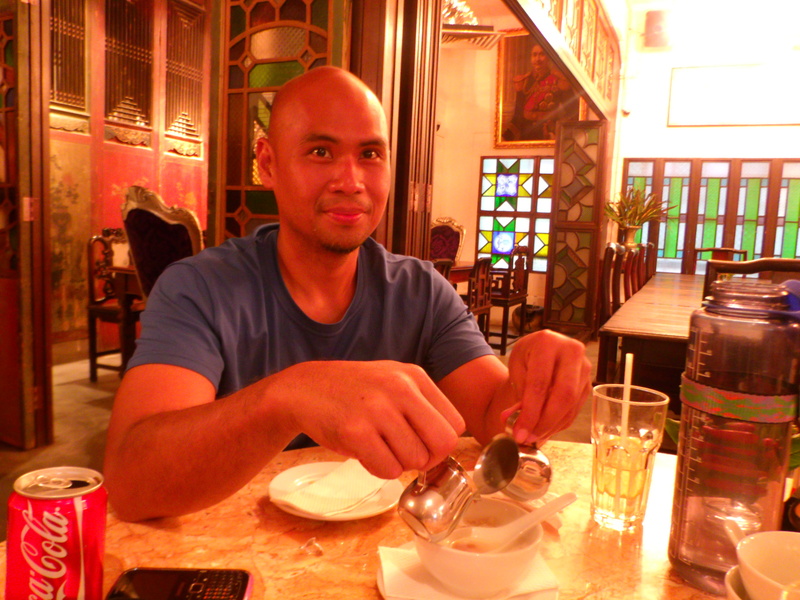 All good Peranakan meals should end with a sweet bowl of Nonya Cendol. 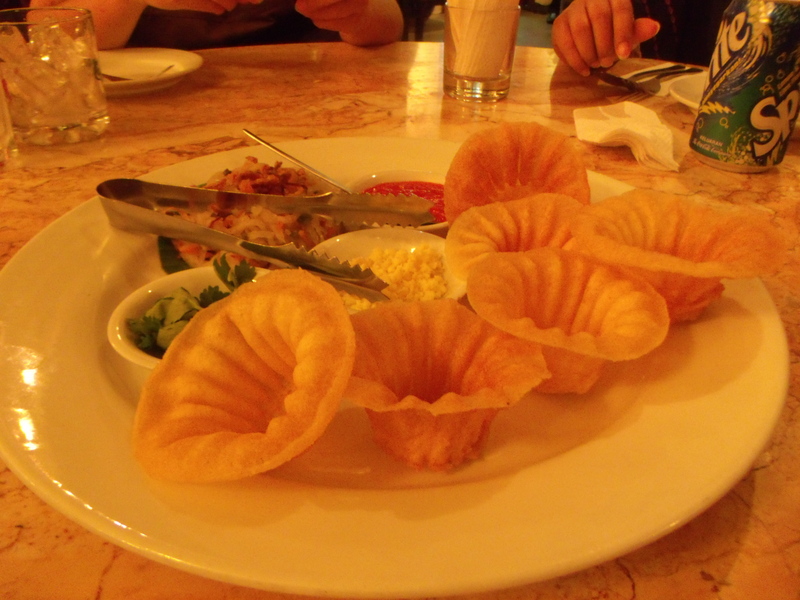 At Precious, this was served separate with the milk and gula melaka which cued me to ask for more of the latter. It was as sweet as sweet can be. A cup of milk and a cup of "gula melaka" for my "cendol." 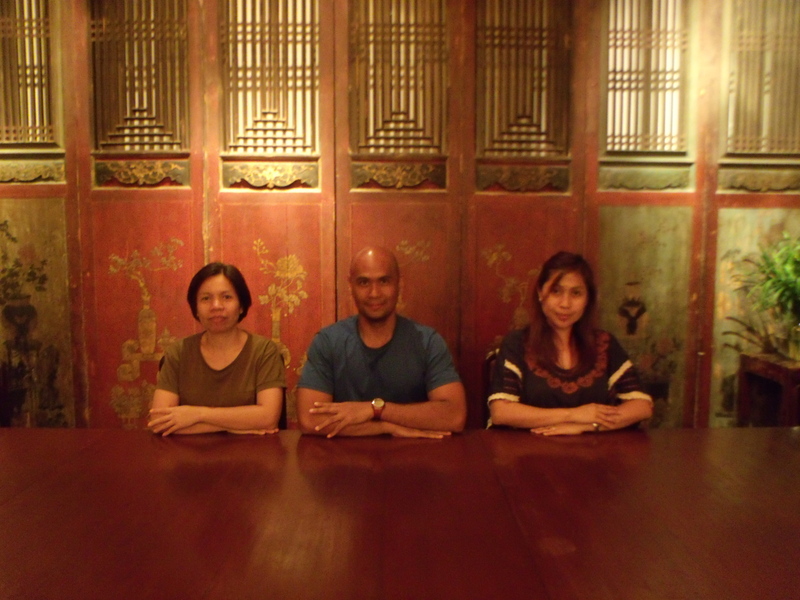 If only for the really delicious food served amidst tasteful interior and the outstanding service by the well-mannered waiters, dining at Precious was nothing short of precious.